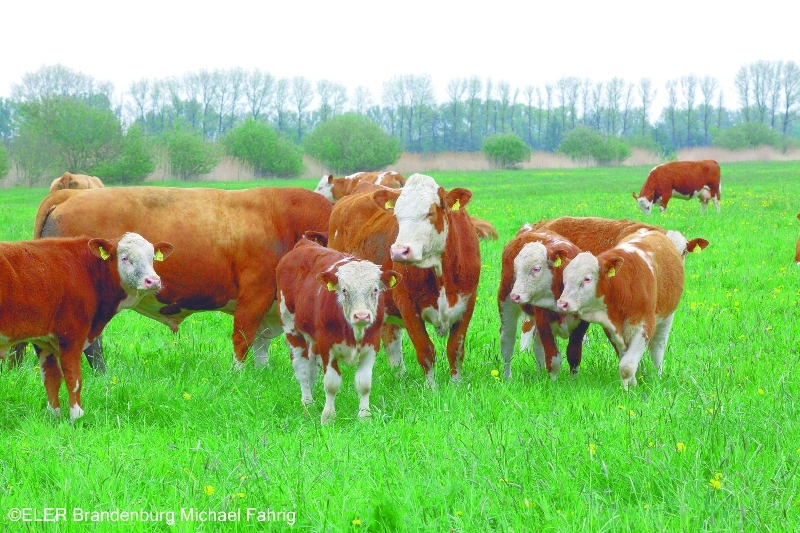 This project combines nature conservation of the wet grasslands in the biosphere reserve Spreewald with organic cattle breeding and production of high-quality meat. 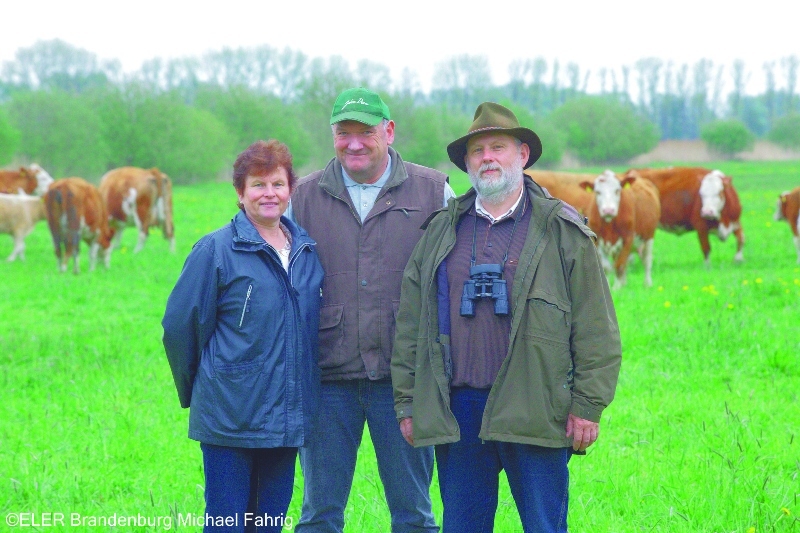 The MURI GmbH manages 1,325 hectares where winter rye and lupine are grown for sale. 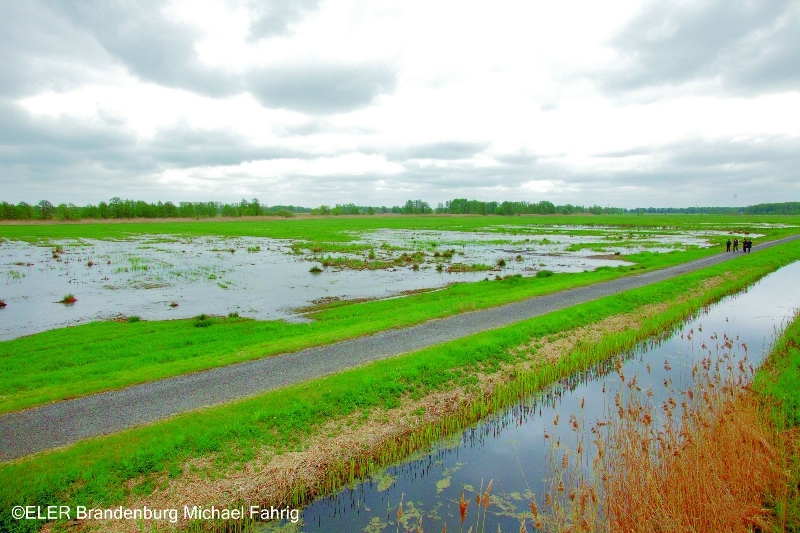 About 1,000 hectares are grassland and 90% are in the protection zones 2 and 3 of the biosphere reserve Spreewald. These conditions imply use restrictions such as no area should be wrapped, and pesticides and synthetic fertilizers are a taboo. Therefore, EAFRD support was sought to improve sustainable farming methods. The objectives are to further develop the concept of sustainable ecological farming; to produce high-quality meat; and, to strengthen the cooperation of the farm with the nature conservation authorities in the local area. The 600 cows with their calves and the 12 heifers are held at various locations in nine grazing herds. The calves stay there 7 to 8 months, with their mothers. In winter the animals are based in their herd in loose housing with run on the 7-acre site on the outskirts of Lübben. They are fed with organic cattle hay, grass silage from their own green areas and partially power fed with their own grain. The project allows not only the production of high-quality meat, but also protects a piece of cultural landscape, with organically bread cattle. Grassland birds such as skylark, lapwing, redshank and yellow wagtail have a protected nest and become partially sighted again. The approach applied in the project provides an example of a successful solution for managing wet grassland areas and fulfilling the conservation needs.